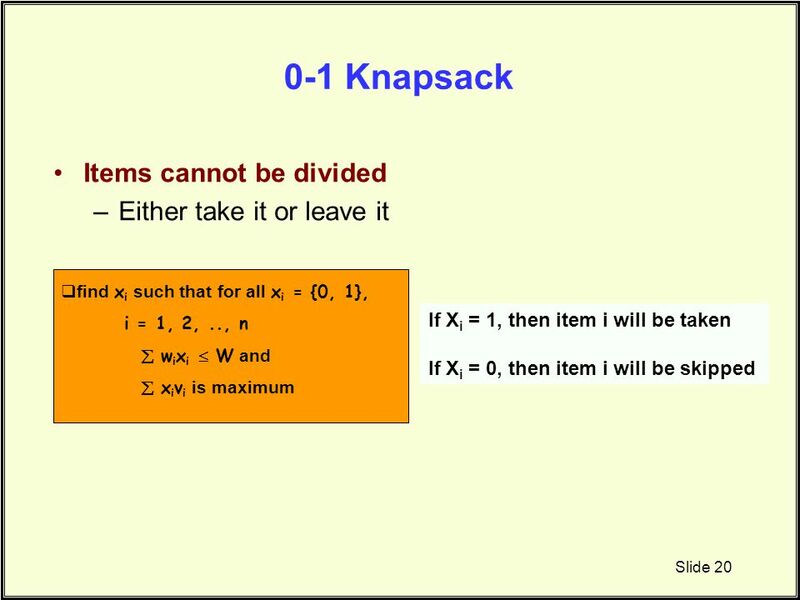 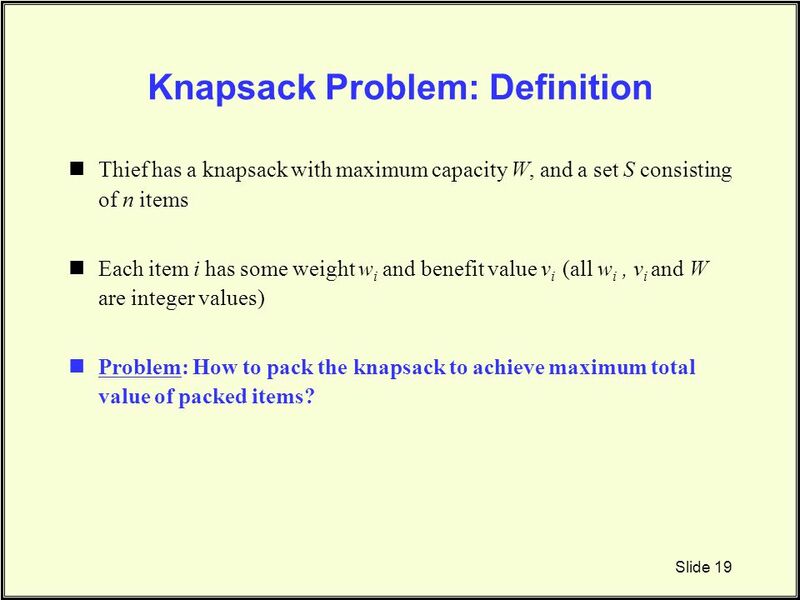 Thief has a knapsack with maximum capacity W, and a set S consisting of n items Each item i has some weight wi and benefit value vi (all wi , vi and W are integer values) Problem: How to pack the knapsack to achieve maximum total value of packed items? 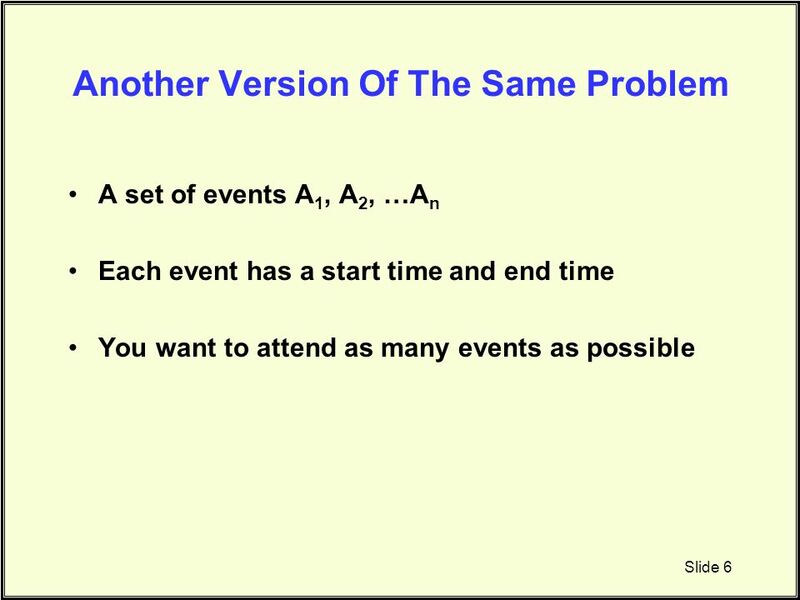 CS Section 600 CS Section 002 Dr. Angela Guercio Spring 2010. 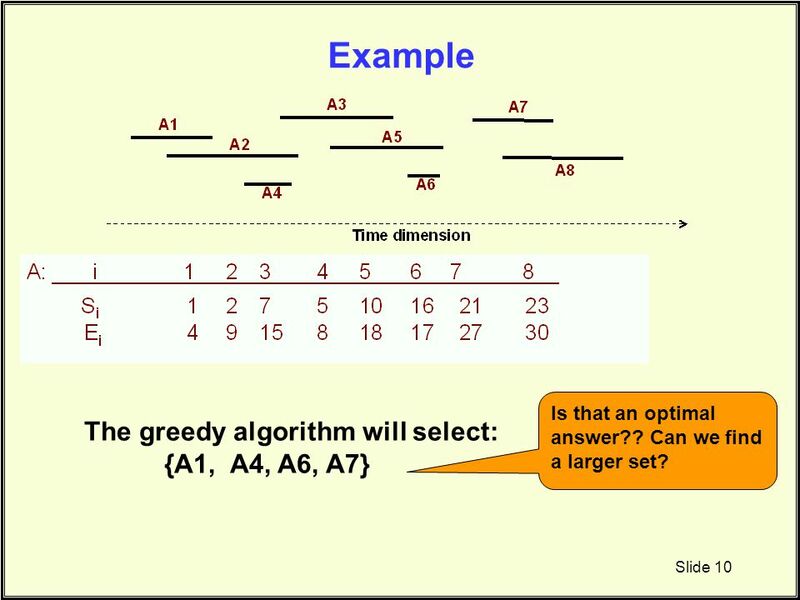 Comp 122, Spring 2004 Greedy Algorithms. 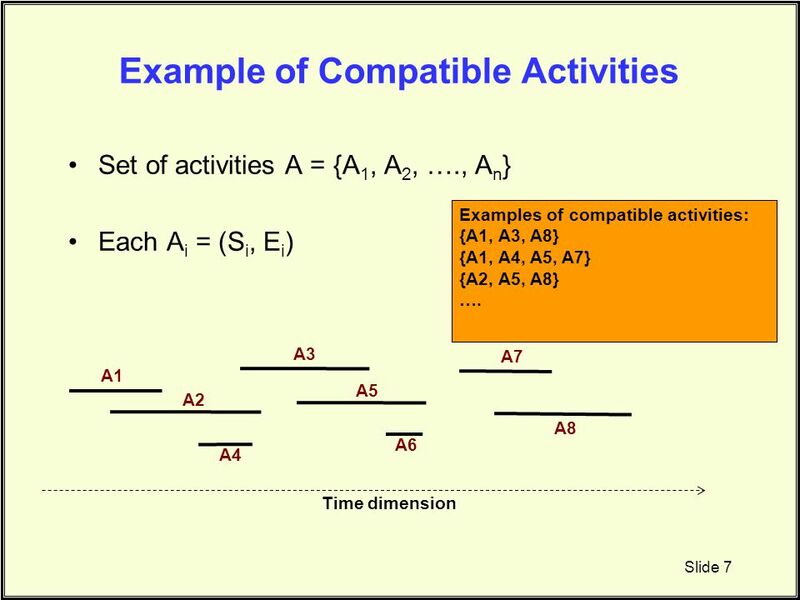 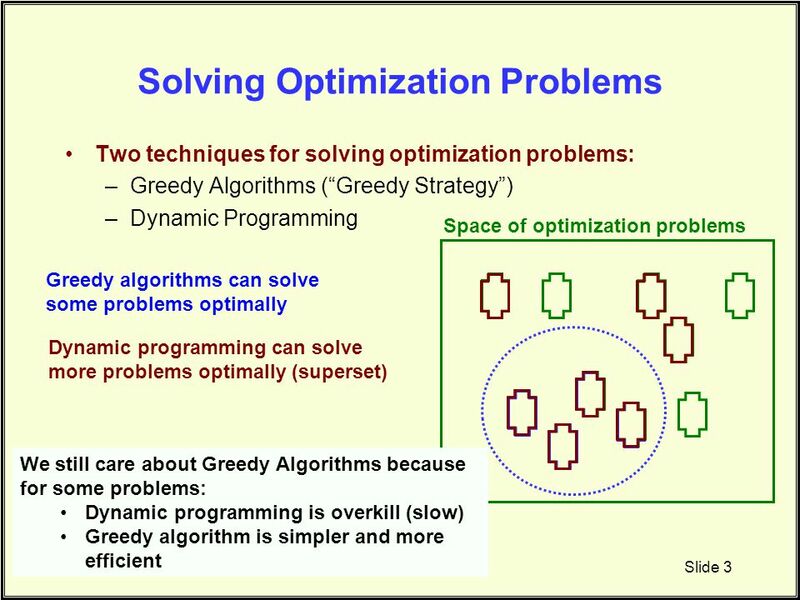 greedy - 2 Lin / Devi Comp 122, Fall 2003 Overview  Like dynamic programming, used to solve optimization problems. 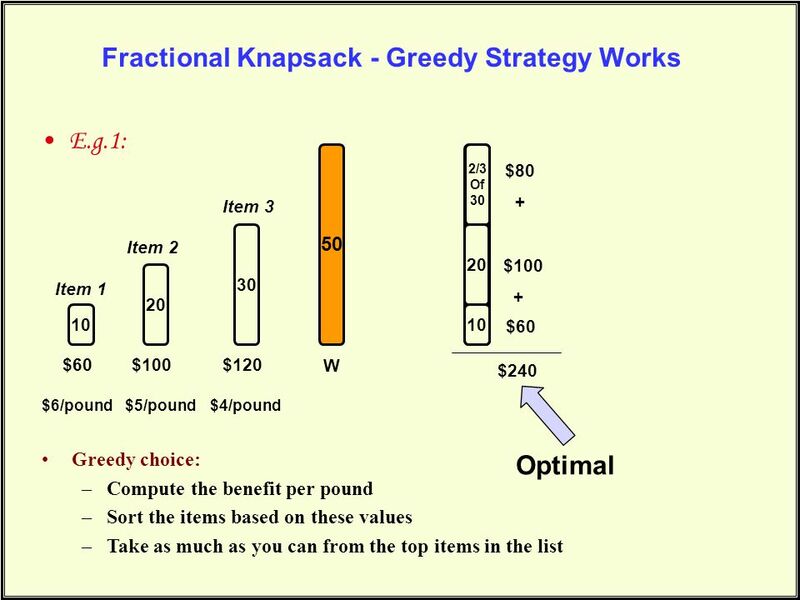 The Greedy Method1. 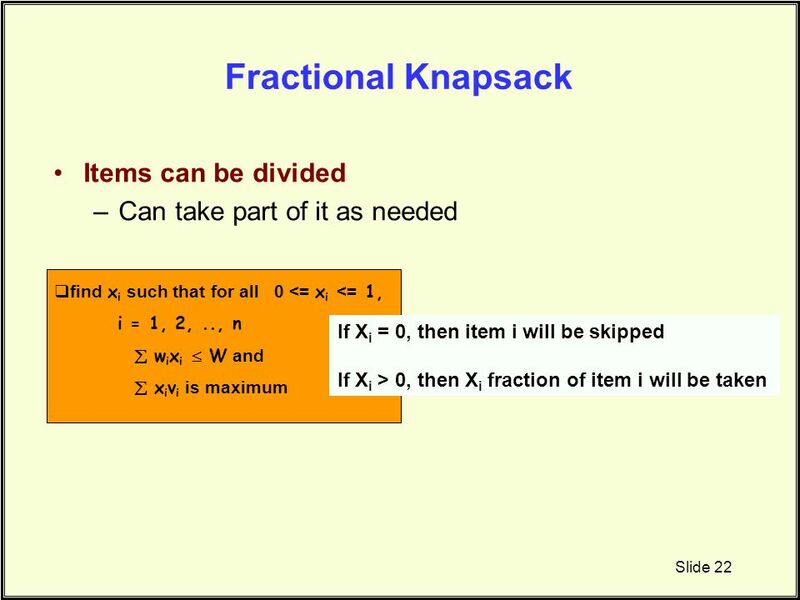 2 Outline and Reading The Greedy Method Technique (§5.1) Fractional Knapsack Problem (§5.1.1) Task Scheduling (§5.1.2) Minimum Spanning. 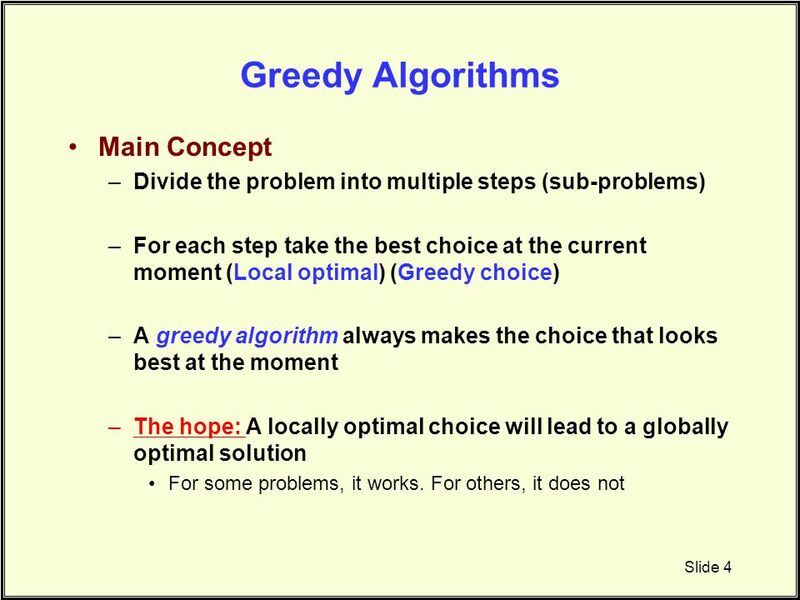 Greedy Algorithms Amihood Amir Bar-Ilan University. 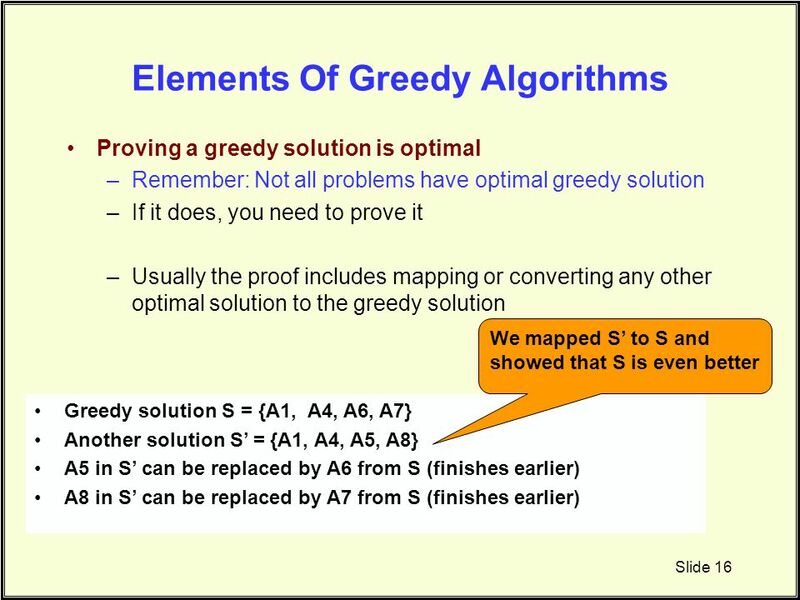 1.1 Data Structure and Algorithm Lecture 6 Greedy Algorithm Topics Reference: Introduction to Algorithm by Cormen Chapter 17: Greedy Algorithm. 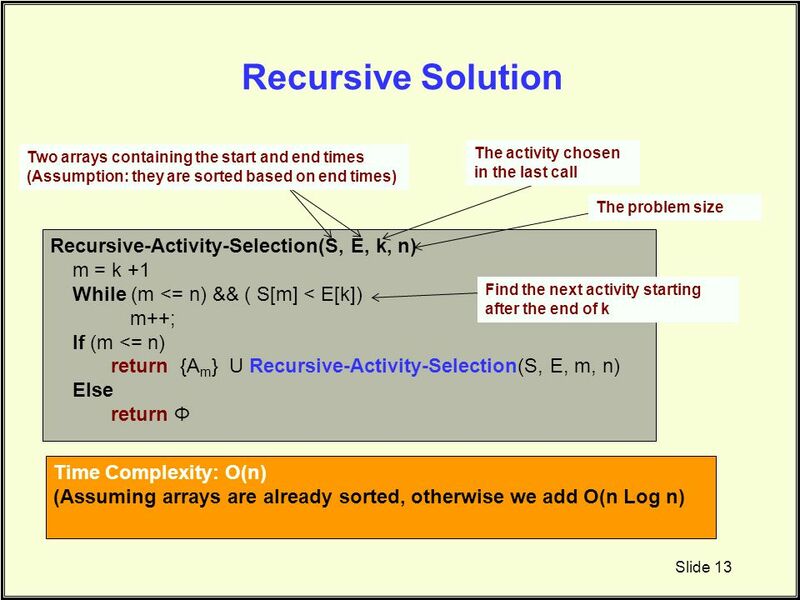 Chapter 5 Fundamental Algorithm Design Techniques. 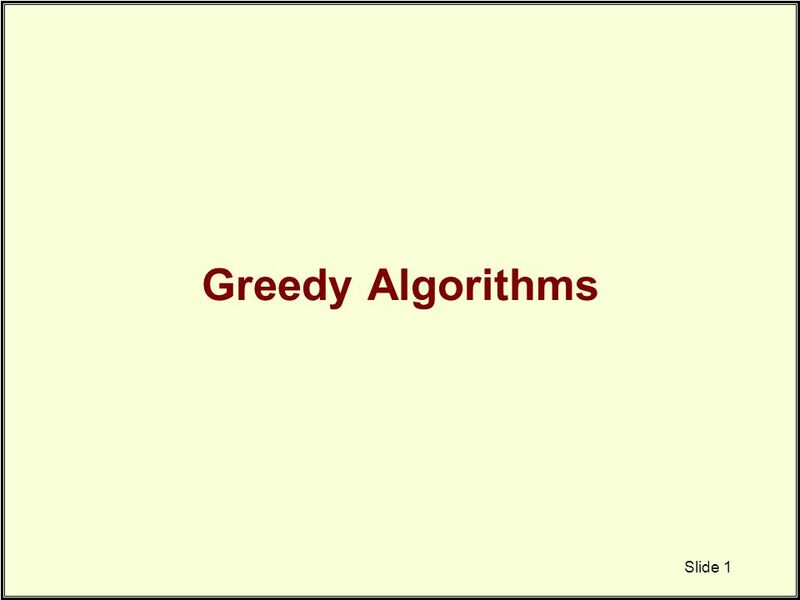 Greedy Algorithms Be greedy! 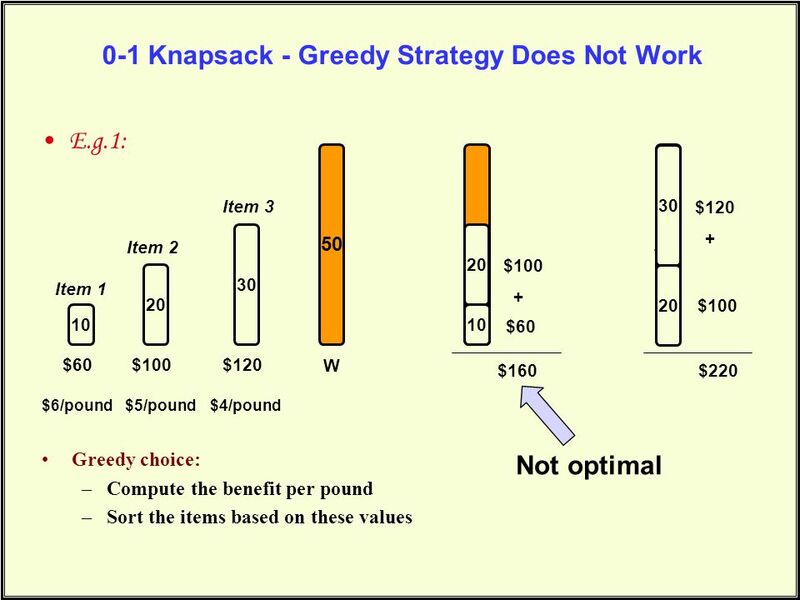 always make the choice that looks best at the moment. 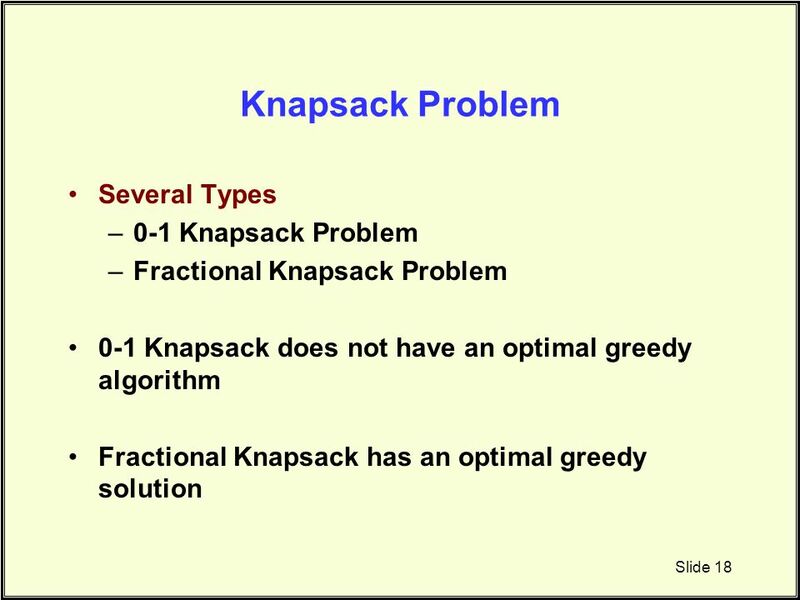 Local optimization. 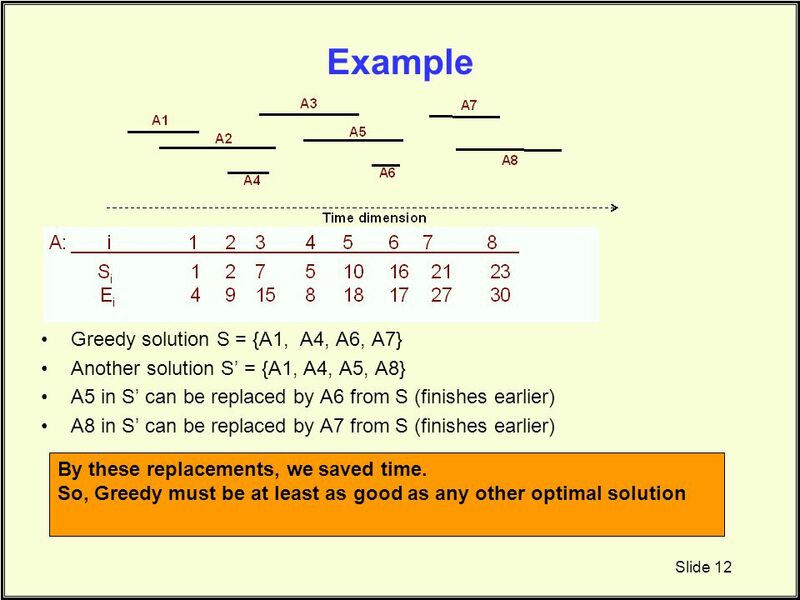 Not always yielding a globally optimal solution. 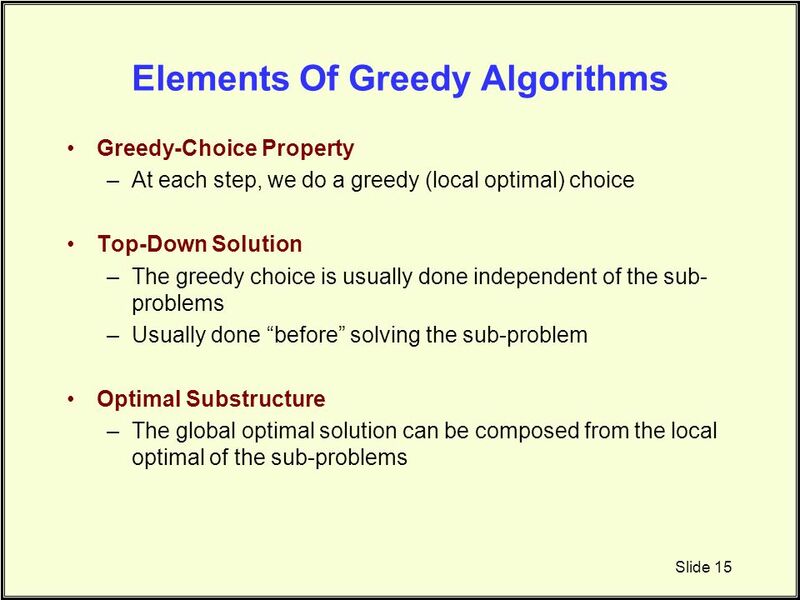 Greedy Algorithms Basic idea Connection to dynamic programming Proof Techniques. 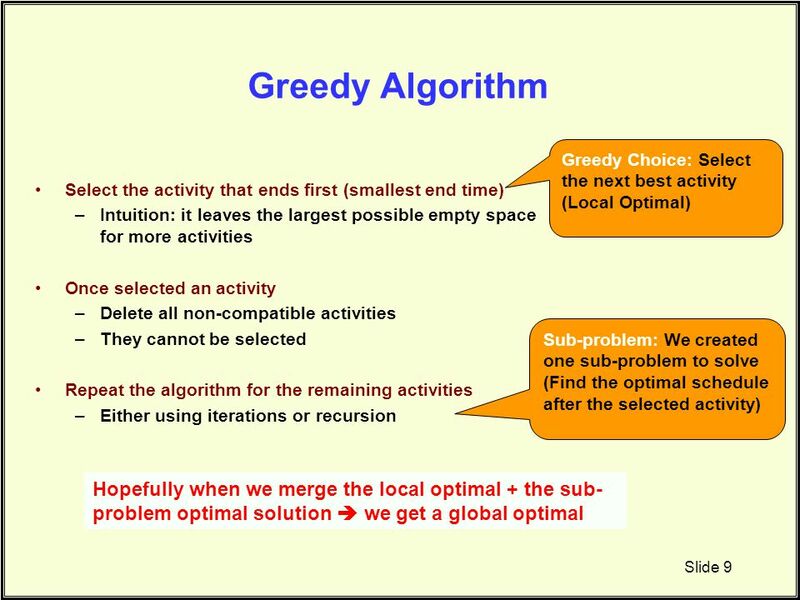 Greedy Algorithms. 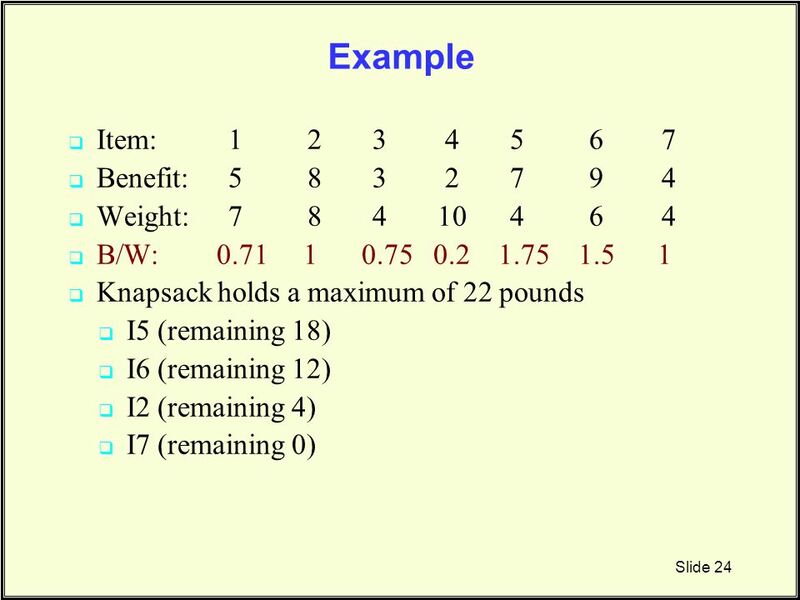 Announcements Exam #1 ◦ See me for 2 extra points if you got #2(a) wrong. 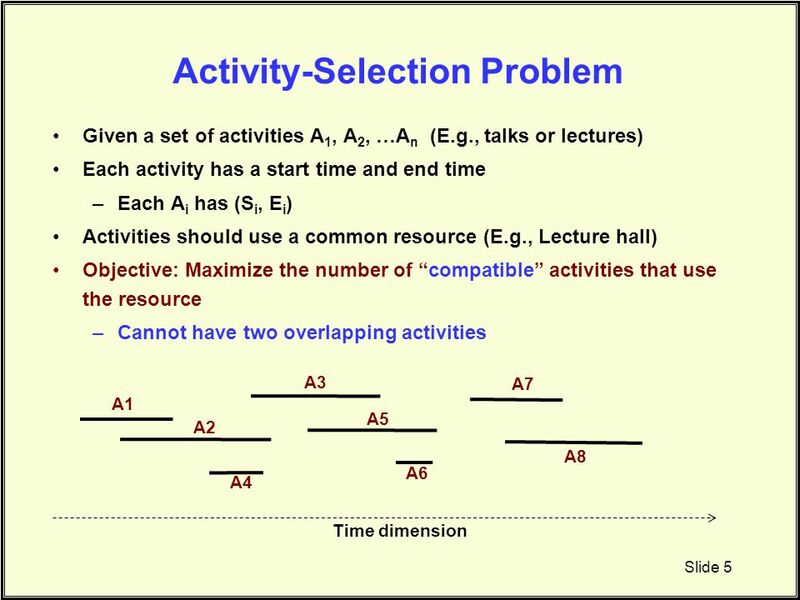 Lab Attendance ◦ 12 Labs, so if anyone needs to miss a lab. 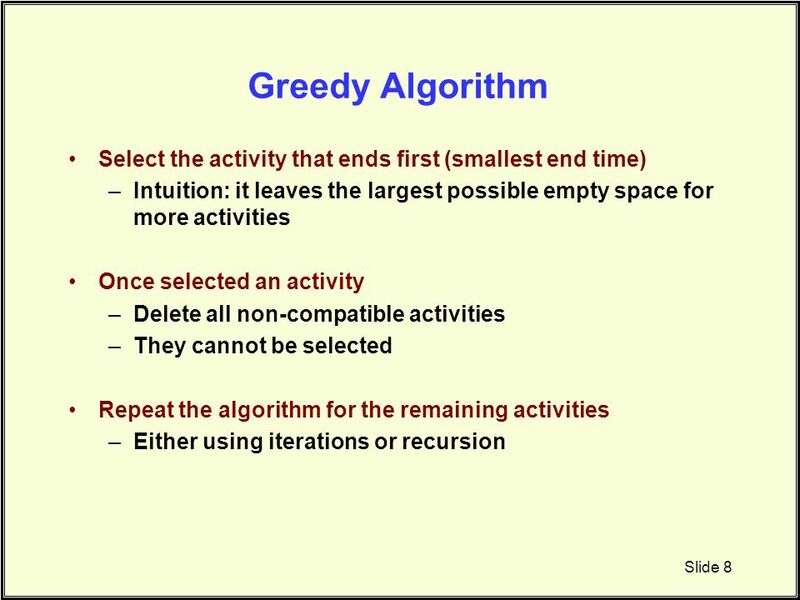 Greedy Algorithms. 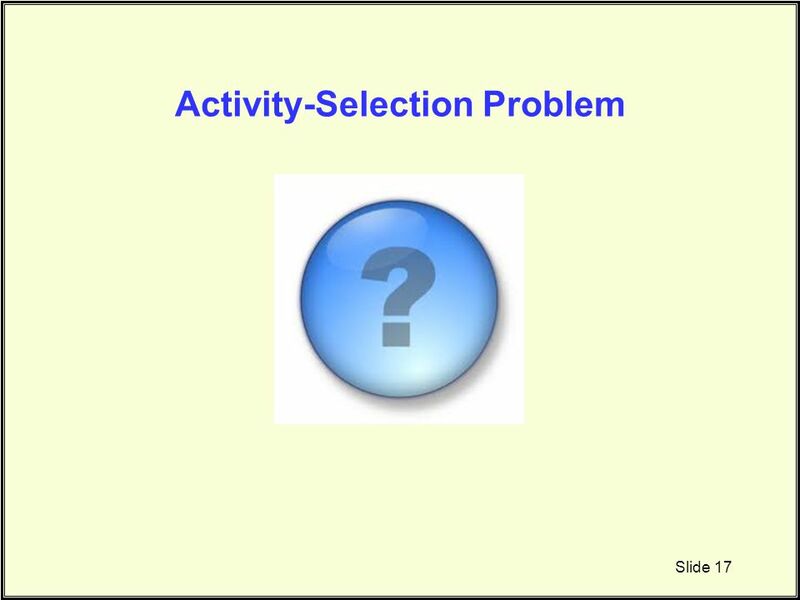 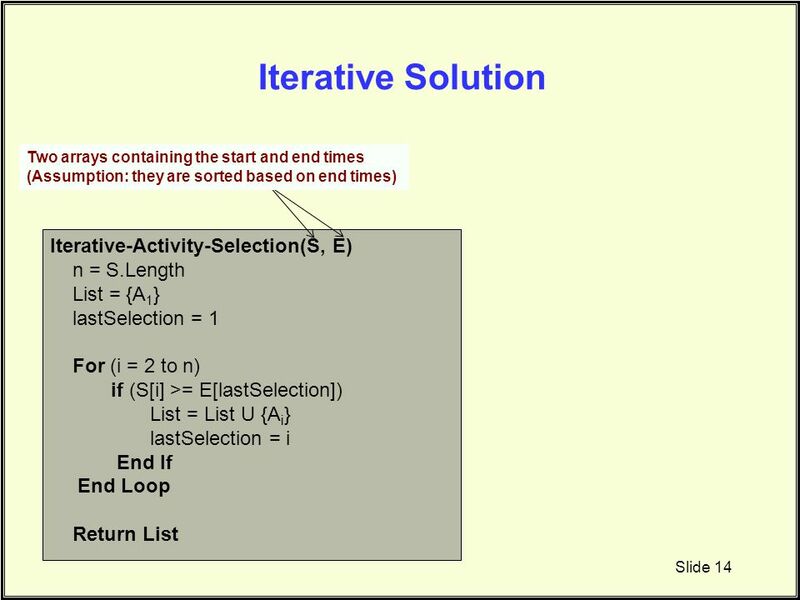 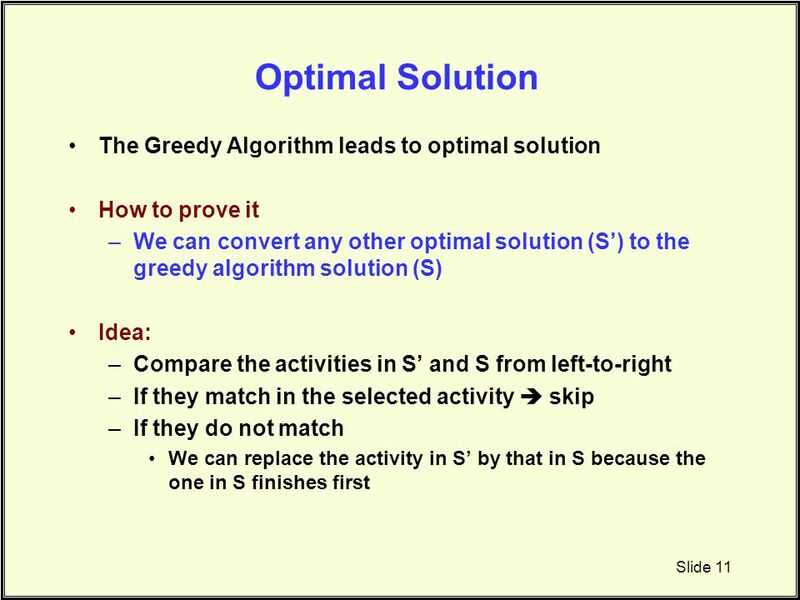 What is “Greedy Algorithm” Optimization problem usually goes through a sequence of steps A greedy algorithm makes the choice looks.